The position is casual/part time 1-5 days or more a month to start with the possibility for full time advancement. A general knowledge and love for animals. Works well in a group or unsupervised. Ability to work weekends and weekdays. previous experience caring for dogs is a plus. Why Not Choose Recreational Riding lessons This Summer! Eligible threw Making Play Possible,Public Works, and Champion For Kids contact us for more details. When thinking about recreational activity's for your children or yourself! Why not consider recreational riding lessons. 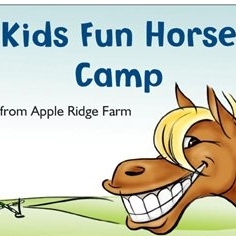 Apple Ridge Farm's offers children and adults of all ages a non competitive recreational riding style with fun as the main focus. Building self confidence and responsibility, learn how to brush, clean and tack up the horses as well as ride in a safe and positive atmosphere. availability threw the week as well as on weekends to suit your schedule. we are located at 34 Caintown Rd, Mallorytown, 20 min from Brockville. eligible threw Making Play Possible,Public Works and Champion For Kids to help cover the cost and affordability. we also provide approved riding helmets. Apple Ridge Farm will not be running their popular kids camp threw the 2014 summer season, we apologize for any inconvenience this has caused, Please read below for more info. Very soon the Farm will be under construction with their very large and spectacular Barn.including an amazing space just for our campers, and that means very big trucks and equipment and not very safe for little people to be running around participating in a camp program. Safety for our Campers and horses while we build are of the utmost importance,we appreciate your patents during the building process. *Our recreational riding lessons will still be offered threw the summer weeks and on weekends.please call or email for availability. Keep Checking our Site for Updates :If we find the building process is going faster than scheduled we will be adding in a week or two of camp for your eager campers at the end of August. Have a question? 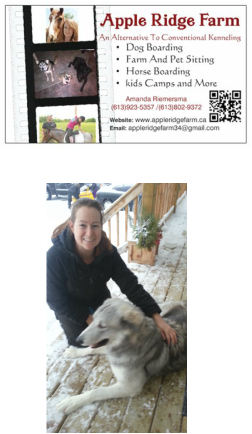 give us a call or email: (613)923-5357 www.appleridgefarm34@gmail.com. Today is McHappy Day at McDonalds And We Are Donating For A Good Cause! 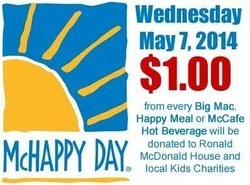 Good morning farm friends Today is McHappy Day at McDonald's! Please support Ronald McDonald houses and other childrens charitys in our area by purchasing McDonald's today ! also there will be a silent auction along with other generous local businesses Apple Ridge Farm has donated a $100.00 gift certificate! Pop in grab a bite and make a bid today. goodluck! Join the growing number of dog owners making the switch! Do you ever wonder if theirs something else other then a kennel for your dog while your away? Craving quality loving care with lots of attention? Apple Ridge Farm's offers just that ! Lots of room to run, play and be a dog within our fully supervised 40 acre fenced property.large or small, elderly or puppy's we can care for them all! We provide a fun open concept environment in our home with low daily enrollment,Join our remarkable and friendly client base today! FINALLY A BOARDING FACILITY WHERE YOUR DOGS RECEIVE THE VACATION THEY CRAVE WHILE YOUR ON THE VACATION OF YOUR DREAMS . Time is A-Ticking! Have you booked your Dogs boarding spot for the upcoming Spring Break? Great News! Apple Ridge Farm's has 2 boarding spaces remaining for the up coming March Break. Your Alternative to conventional kenneling! For all availability please call or email. It's Not To Late To Register For Our Summer Horse Camp ! JOIN/SHARE/HAVE FUN! A fun opportunity to spend time with horses and friends with a focus on self confidence and team building in a positive environment. Campers will have an opportunity to connect with and care for a special pony/horse every day. Opportunities include learning to move safely around a horse/pony; grooming and caring for an equine; leading and tacking up (putting on the saddle and bridle), mounting, sitting in the proper position, and eventually riding. Beginning riders are led by an experienced instructor and progress confidently at their own pace. More advanced riders develop core riding skills in the saddle at their own pace and learn to communicate with the horse both in and out of the saddle. Children can be dropped off earlier or stay later if needed. Please inquire when reserving for your program. An extra fee may apply.p.m. 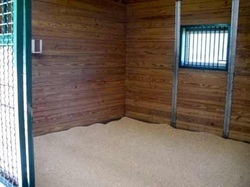 The added convenience of not mucking out my stalls before leaving for work is priceless said one of our clients!